The NYSTCE Music test is a certification test taken by individuals wishing to become music teachers in the state of New York. The material covered on this test provides the knowledge needed to teach a primary or secondary music class. The NYSTCE Music exam is a Computer-Based Test (CBT). The test is administered at CBT testing sites, which are located all over the state of New York and nationwide. Registration is required to take the NYSTCE Music test and the fee is $134. Testing opportunities happen all year round, Monday through Saturday. The NYSTCE Music test is a timed test, with 3 hours given for completion and an extra 15 minutes given to view a CBT tutorial video and a nondisclosure agreement. A passing score on the NYSTCE Music test is 220 or higher. Scores from the NYSTCE Music exam are released approximately 3 weeks are the test date. 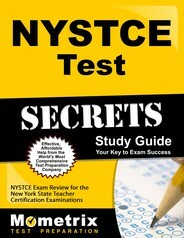 Do you need help preparing for the NYSTCE Music exam? We’ve got you covered! Several different study materials are available, including sample selected-response questions and constructed-response questions, with explanations. Also, the basic framework and content of the test is available to study, as well as a preparation guide and an explanation of test scores. 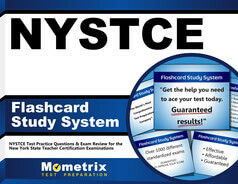 Could the NYSTCE Music test be the next career step for you? Make sure to read all of the policies and procedures concerning this exam. Failure to abide by all rules concerning this test could result in disqualification of scores. Register today for the NYSTCE Music Test and teach others to love music!